You have incredible talent! Just amazing designs. Holy SCHNIKES this is amazing. I'm not sure I can spot a single thing that you didn't augment, and to absolutely masterful effect. I am following you immediately. I'm stunned once again. Gorgeous work! Wow, just wow! Stunningly beautiful and so regal! Just awed by this one. An intricate crown that is so well deserved. Oh my goodness this is absolutely gorgeous!! 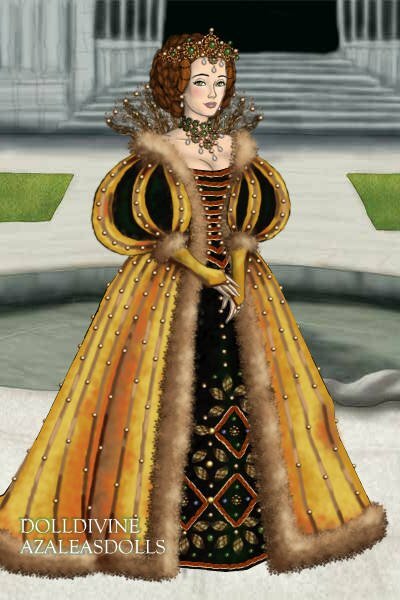 The dress is just perfect, specially the bodice and I love the crown and the hair!! Oh my gosh! That shading and colour blending is incredible!!!!! !